Belize has an eclectic assortment of high-end, exclusive establishments. Lodges and resorts are almost always comfortable hotels in remote locations. While there are several resort hotels on the Caribbean coast, most accommodation is in simple guest houses or family-run hotels. Expect to pay upwards of BZ$50; anything cheaper is usually not safe or clean. Cabins or cabanas are rustic set-ups, sometimes with or without electricity. Generally hotels in Belize are of a significantly higher price than those of neighbouring countries, while the quality can be often be lower. Be prepared for extra taxes such as the General Sales Tax (10%), the Hotel Tax (9%) and Service Charge (10-15%) that may be added after the room rate has been quoted. The Belize Tourism Board lists registered accommodation on its website (http://travelbelize.org). Bed and breakfast places tend to take the form of small guest house-style accommodation, often run by expats. You'll find all sorts of standards available, from the hippie-type bed and breakfast where a laid-back attitude is essential to cope with the basic facilities, to the more homely welcoming sort. It is advised to check the rooms and facilities on arrival to see if you want to stay. There are budget campsite facilities in most districts. A few hotels and guest houses in the cayes offer camping on their private beaches or yards. It is best to find somewhere with some decent security – it is not safe to just pitch a tent anywhere, particularly not near Belize City or the Guatemalan border. Never leave anything you care about in a tent. The Belize Tourism Board lists campsites on its website. Apartments: Long-stay visitors can rent apartments on a monthly basis. The easiest places to find these are within the most popular tourist areas such as the cayes and Placencia. Many are privately owned; have a look at the VRBO site (Vacation Rentals By Owner) at www.vrbo.com/vacation-rentals/caribbean/belize. Some hotels, particularly the higher-end ones, offer apartments for longer rents as well as rooms. Lodges: Being a country which is full of nature reserves and popular with those wanting to stay in them, there are plenty of jungle lodge and spa-type hotels of a very high quality. Examples are Chan Chich Lodge (www.chanchich.com) which is set in 53,000 hectares (130,000 acres) of private nature reserve; Cotton Tree Lodge (www.cottontreelodge.com) near Punta Gorda; or the Maruba Resort Jungle Spa (www.maruba-spa.com). Youth Hostels: There aren’t many youth hostels in Belize – probably under a dozen in the country. The ones that are there are located in San Pedro, Caye Caulker and Punta Gorda. But these places are for the hardy and teenage backpacker – they are for most part very basic, and the San Pedro options are party spots designed for being so drunk you don’t care where you crash. Remember that Belize has far more reasonably priced small hotels of decent standards than it does hostels. Self-catering: Apart from renting your own apartment (see above), if you are interested in self-catering accommodation, many guest houses or bed and breakfasts have guest cooking facilities. 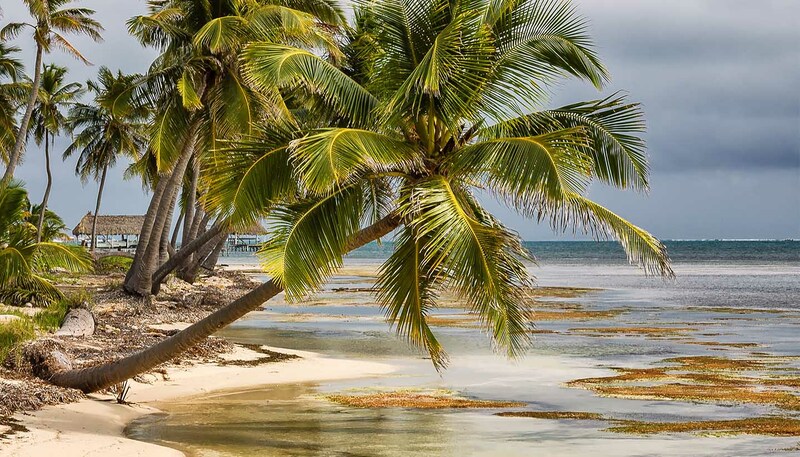 If you’re staying in a small guest house that is more like someone’s home, then such is the laid-back hospitality in Belize that should you ask nicely, you might well be able to use the family kitchen. When buying food for yourself, grocery stores are your option – there are very few supermarkets.